Easter in Australia. The Crater Lakes. First of all, Happy Easter everyone!!! We are enjoying a few quiet days in our little paradise, trying to mix work with some time exploring the area. And since the rain has given up a break, we decided it was time to go to the Crater Lakes, close to Yungaburra, in the Atherton Tablelands. We will never get tired of repeating how beautiful the Cairns Highlands are and how different from the coastal scenery and heat and humidity. 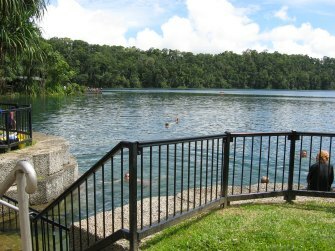 Both lakes are fabulous but if you want to have a swim, the only one where you can do it is Lake Eacham. There were lots of people enjoying their day out in the sun and many youngsters, and those not so young, were cooling off in the deep blue waters of the lake. 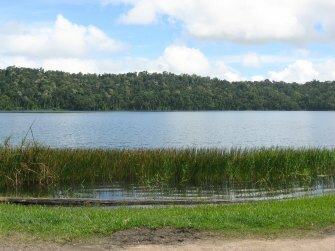 At Lake Barrine swimming is not permitted but it is just as beautiful as its twin. 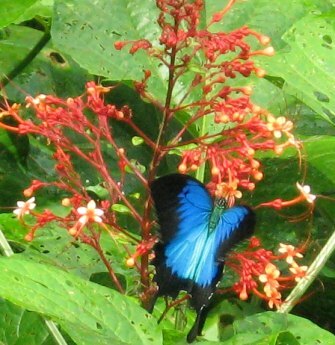 Apart from the amazing scenery, we saw some native fauna as well, which we had the privilege to photograph. This entry was posted on Monday, March 24th, 2008 at 10:47 am	and is filed under Road Trip. You can follow any responses to this entry through the RSS 2.0 feed. You can leave a response, or trackback from your own site. 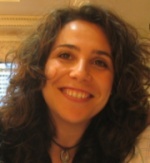 Love your website and I’m learning so much about your part of the world, thanks! 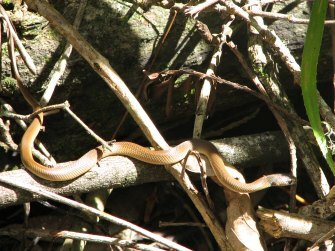 What kind of snake is pictured and do you have many snakes in Cairns? Keep the posting and pictures coming, it’s great for those of us still locked in snow!! Megan, I have to agree with you. The Atherton Tablelands is a real favourite with me, and soooo underrated. It’s hard to believe the numbers of tourists who only visit Cairns, Kuranda and Port Douglas, when the Tablelands are just an hour away. Laurabeth, I’m not sure what sort of snake that was. It was only a baby. But as Maria was transfixed watching the snake, I just couldn’t resist the opportunity to bend down and gently stroke her ankle. She almost climbed the nearest tree!! !